….a place that is so unlike any city I’ve ever lived in (which isn’t hard, since I’ve always lived in Indiana). We’re packing everything we own into a single vehicle and heading across the country in January 2015 to Los Angeles in sunny California. A minimalist meets a city known for its excess – and for its tiny, expensive living spaces. We’re not talking about tiptoeing outside of my comfort zone here, we’re talking about taking a flying leap and absolutely crushing the walls I’ve put up to keep myself comfortable. It’s brand new. My husband lived in Los Angeles for some time a few years ago, but I’ve only ever been there on our honeymoon. When I moved from Bloomington to Indianapolis, I felt it was a chance to start everything over again – and now this is on an even larger scale. My husband will now be doing something he has a real passion for. This means really building up his film and television career in Hollywood and surrounding areas. I feel famous. What I mentioned before – we’re going to upgrade my little Honda Civic to a mid-sized SUV and whatever fits, goes. Whatever doesn’t fit will be sold, donated or given to family as “loaner” furniture until we someday come back to the Midwest. I’ve been on a cleaning/minimizing kick for the past week now that things are finally out in the open and we’re really moving forward and I’ve been surprised at how much I still have. We took a quick inventory of what kitchen stuff we have, and what we’ll actually want to bring. The list filled an entire page, and I thought of even more stuff after we finished the exercise. Not going to lie, this is going to be a whole new challenge. I’d love to hear your big move experiences! Anything we need to know as we start planning? 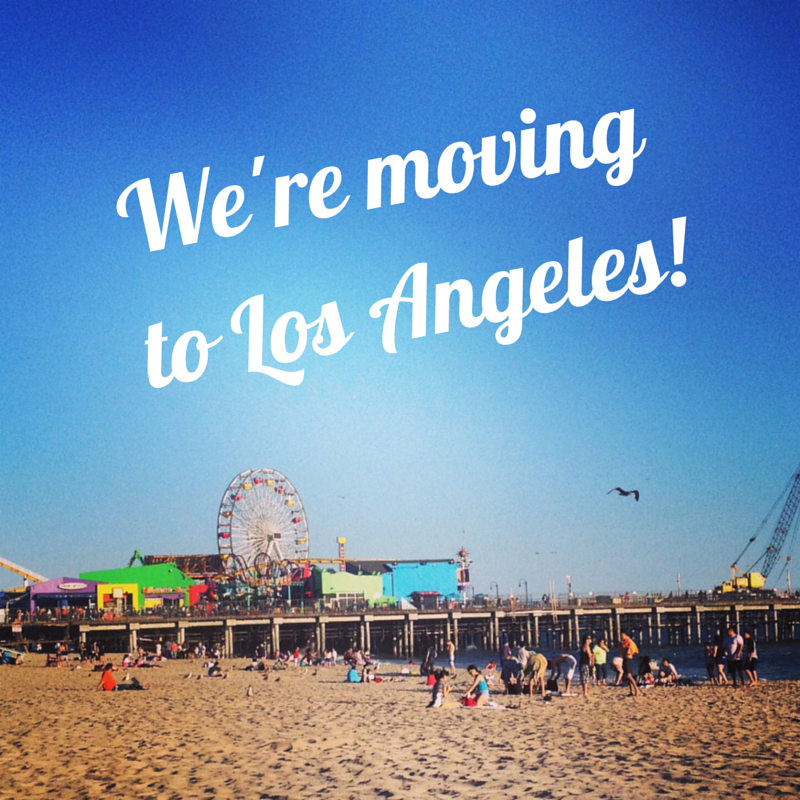 This entry was posted in Home and tagged get rid of stuff, Los Angeles, moving. Bookmark the permalink. Sounds super awesome! Wishing you luck on this new adventure of yours!